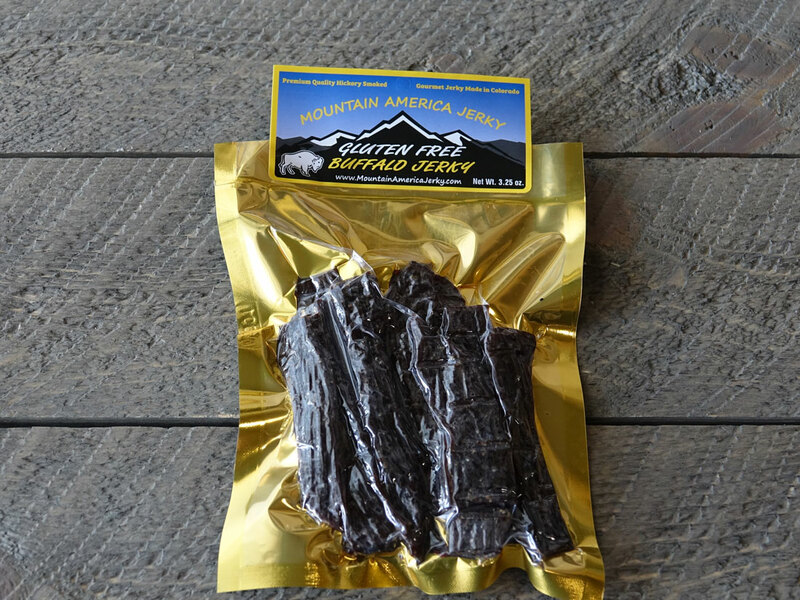 Lean, high in protein and iron, our Gluten Free Buffalo Jerky is a great taste treat without the use of any wheat products. This recipe is a classic combo of fine ground black pepper with a subtle sweetness. It’s easy to pack in your backpack or lunch box for a wonderful snack anytime. 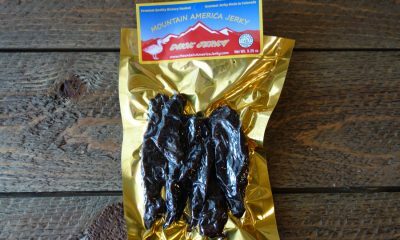 Our Gluten Free Buffalo Jerky uses premium American Bison meat that is never treated with growth hormones or steroids. It is thick cut, marinated, and hickory smoked daily with no MSG, nitrates, or other fillers. 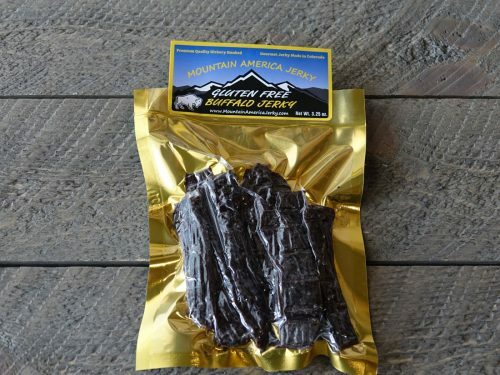 Try our Gluten Free Buffalo Jerky and discover an easy way to get a quick and delicious protein fix. 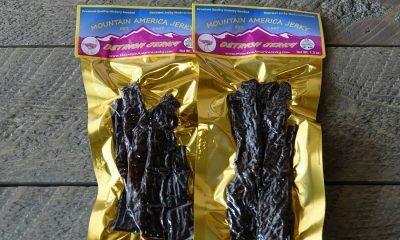 Excellent Jerky! !… spiced just right.. There are very few meats I can eat…this is one of the best. 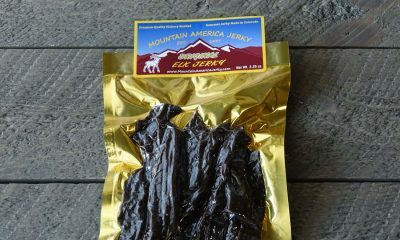 I’m a big fan of Buffalo, and this is excellent Jerky. Moist, big pieces, and very fresh. It doesn’t have the spice of some of then non-gluten-free choices, but it’s excellent and a great choice if you’re avoiding gluten. Good meat and nice not to have any reaction to any of the ingredients. Since I switched to a paleo diet, I’ve been eating a lot of jerky and I had this site recommended to me by a friend. Just got my jerky in the mail today and I’m pretty sure it’s all I’m going to be eating for lunch and dinner. This stuff blows the supermarket and convenience store stuff away by a mile… I also love that its packed so air tight, it’s incredibly fresh. Thanks from New York!